Hugo Chavez’s legacy: The former Venezuelan president was not the typical South American strongman. How his economically disastrous, politically effective ideology will haunt the country he ruined. 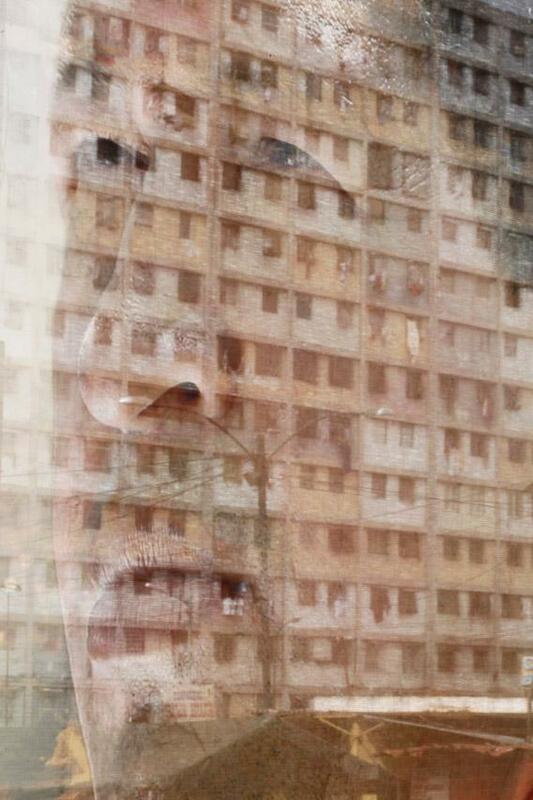 An apartment block of the “23 de Enero” neighborhood is seen through a banner showing a portrait of Venezuela’s President Hugo Chavez in Caracas February 4, 2013. Even before Hugo Chávez died, he had become a ghost. A strange, unfamiliar quiet had fallen on Venezuela for weeks as people waited to hear the voice of the president who had been part of their daily lives for nearly 14 years. That’s because Chávez spoke to Venezuelans constantly. In his first 11 years in office, he addressed the nation, on average, every two days. His remarks, usually improvised, typically ran more than four hours. If you add up these talks, which all radio and television stations were required to broadcast, they would amount to 54 full days. And then there was silence. Venezuelans last heard their president on Dec. 8 when he announced that he was returning to Havana for his fourth operation to treat a recurring bout of cancer. He wouldn’t return to Venezuela until Feb. 18, slipping into a military hospital in Caracas in the middle of the night. (His advisers later admitted that his ability to speak had been impaired by a tracheal tube that had been inserted to assist his breathing.) Chávez had made the trip home, but he never truly returned. He was present but could not be seen. The eerie quiet was only broken with the announcement, delivered by Vice President Nicolás Maduro late Tuesday, that the 58-year-old president was dead. What has Chávez bequeathed his fellow Venezuelans? The hard facts are unmistakable: The oil-rich South American country is in shambles. It has one of the world’s highest rates of inflation, largest fiscal deficits, and fastest growing debts. Despite a boom in oil prices, the country’s infrastructure is in disrepair—power outages and rolling blackouts are common—and it is more dependent on crude exports than when Chávez arrived. Venezuela is the only member of OPEC that suffers from shortages of staples such as flour, milk, and sugar. Crime and violence skyrocketed during Chávez’s years. On an average weekend, more people are killed in Caracas than in Baghdad and Kabul combined. (In 2009, there were 19,133 murders in Venezuela, more than four times the number of a decade earlier.) When the grisly statistics failed to improve, the Venezuelan government simply stopped publishing the figures. The political ideology Chávez left behind, Chavismo, was a demonstrable failure for the Venezuelan people, but it is not as if it ever failed Chávez himself. Despite his government’s poor showing, the Comandante’s platform secured him another six years in office, with a decisive 11-point victory, only five months ago. Will Maduro, Chávez’s handpicked successor, and his other cronies be able to pick up where the former president left off? His successors would be in better shape if Chávez had been a typical South American strongman. But he wasn’t just another caudillo who stuffed ballot boxes and rounded up his enemies. As I describe in my book The Dictator’s Learning Curve, Chávez’s rule was far more sophisticated than such heavy-handed regimes. Like many authoritarian leaders, Chávez centralized power for his own use. Not long after taking office in 1999, he controlled every branch of government, the armed forces, the central bank, the state-owned oil company, most of the media, and any private sector business he chose to expropriate. But Venezuela never experienced massive human rights abuses. Dissidents didn’t disappear in the night, and for all Chavez’s professed love for Fidel Castro, his regime was never as repressive as Castro’s tropical dictatorship. And unlike Castro and many other autocrats, Chávez didn’t fear elections; He embraced them. Most opposition leaders will tell you that Venezuelan elections are relatively clean. The problem isn’t Election Day—It’s the other 364 days. Rather than stuffing ballot boxes, Chávez understood that he could tilt the playing field enough to make it nearly impossible to defeat him. Thus, the regime’s electoral wizards engineered gerrymandering schemes that made anything attempted in the American South look like child’s play. Chávez’s campaign coffers were fed by opaque slush funds holding billions in oil revenue. The government’s media dominance drowned out the opposition. Politicians who appeared formidable were simply banned from running for office. And the ruling party became expert in using fear and selective intimidation to tamp down the vote. Chávez took a populist message and married it to an autocratic scheme that allowed him to consolidate power. The net effect over Chávez’s years was a paradoxical one: With each election Venezuela lost more of its democracy. As with Che Guevara, Chávez’s face may appear on T-shirts for decades to come, but Chavismo as a political project is not possible without Chávez. * As a guiding force, there was no real substance to it beyond the man at the center. What does it stand for? Populism, socialism, militarism, xenophobia, nationalism, Marxism, anti-Americanism, class warfare, Bolivarian revolution, lawlessness, corruption, financial collapse—it depends on where you stand. It was always an amalgam, never something pure, clear, or fixed. If it had any staying power, it wasn’t because it helped Venezuelans build something sustainable. Again, the country is in near ruins. Rather, Chavismo served only to showcase the man who propounded it. A man whose humble origins and charismatic personality helped forge a connection with the country’s poor, a population who had long been excluded from politics. A man whose style, voice, and methods were so unpredictable that it took his opponents more than a decade to even understand whom they were opposing. The question now is what will follow. According to the constitution, the government should hold new presidential elections within 30 days. If that does happen, Vice President Maduro will most likely square off against Henrique Capriles, the opposition leader who lost to Chávez last October. Despite his defeat in the last presidential polls, Capriles is a formidable campaigner who has twice defeated senior officials with close ties to Chávez in state elections. Still, if the election is held on schedule, a mixture of grief and nostalgia for the country’s fallen leader will likely give Maduro the upper hand. How would a President Maduro respond to the crisis conditions he would inherit? When Chávez faced criticism for one government failing or another, his charisma and connection to voters let him lay blame at the feet of his ministers. (Chávez cycled through nearly 200 Cabinet ministers in his first 10 years.) Maduro lacks the Comandante’s wit and flare. His chief quality appears to have been his willingness to do Chávez’s bidding, without question. And unlike his predecessor, Maduro may not even be primarily concerned with holding the opposition in check. He will know that there are plenty of politicians from his own camp waiting to take advantage of his first misstep. All of which may spell a more insecure, paranoid, and perhaps aggressive presidential palace. Indeed, Maduro’s statement informing Venezuelans of Chávez’s death wasted no time in engaging in bizarre, politically charged scapegoating. “We have no doubt, the time will come in history when we can create a scientific commission to show that Comandante Chávez was attacked with this disease,” said Maduro on Tuesday. “We already have plenty of clues about this, it’s a very serious matter that will have to be investigated by a special committee of scientists.” Maduro also announced the expulsion of two American military attachés and accused the United States of trying to destabilize the regime. Combative words, a warning of U.S. military intervention, and oddball conspiracy theories meant to encourage suspicion and distrust were always basic ingredients in Chávez’s rhetoric. The fear now is that Chavismo’s blend of bravado and insecurity could swing unpredictably in the hands of whichever cronies succeed Chávez. In a country as polarized as Venezuela, having political figures tell their supporters that the people who disagree with them may be responsible for their beloved leader’s demise comes dangerously close to throwing a match on a tinderbox. Caracas remained quiet on Tuesday night, but the calm may be fleeting. In the days and weeks to come, we should expect Chávez’s political heirs to continue to pull pages from his songbook. But we already know that none of them can sing a tune like Chávez. Read more of Slate’s Hugo Chávez coverage.